How Can I Name a Mountain? 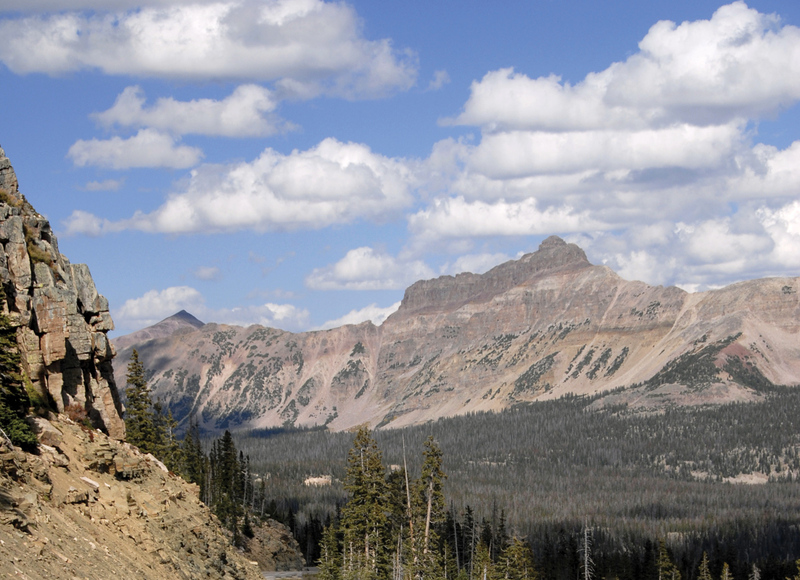 Hayden Peak, western Uinta Mountains. Named after Ferdinand Hayden, a geologist for early government surveys. He visited the Uinta Mountains in 1870. Photo by Douglas A. Sprinkel, Utah Geological Survey. Glad You Asked: What is the correct name of…? How to find the correct names of Utah’s geographic features using the U.S. Geological Survey’s Geographic Names Information System (GNIS). This article addresses how to propose a new name or change an existing geographic feature name. Policies for naming geographic features have been established by the Domestic Names Committee (DNC) of the U.S. Board on Geographic Names. Want to name a geographic feature after your boss or favorite geologist? First, wait until they have been deceased five years as features cannot be named after the living or recently deceased. Think your boss was a *#@*? Sorry, highly offensive or derogatory names are not acceptable. Also, names proposed for features in wilderness areas are not approved, unless needed for purposes of safety, education, or area administration. Names for features on Native American tribal lands must be supported by the tribal government. Submitted names should not duplicate another name in the state or nearby in an adjoining state (however, well-established names are not normally changed to avoid duplication unless there is strong public support). Long names are discouraged but not forbidden. Full names (first and last) are generally not approved unless the full name is short and euphonious or where the surname used alone would be ambiguous. In Utah the bureaucratic process begins with the Utah Committee on Geographic Names (the Utah Geological Survey holds a permanent position on this board). Name proposals must include a full explanation of the name, a complete description and location of the feature with maps and/or photos, and documentation of local support. Proposals can be submitted directly to the Utah Committee or to the DNC, which will forward the proposal to the Utah Committee. The DNC has an 11-page online application found at geonames.usgs.gov/pls/ gnispublic/f?p=DGNPPUBLIC. Though extensive, this online form is straight- forward and easy to use. Alternatively, paper proposal forms are available from the Executive Secretary, Utah Committee on Geographic Names, Division of State History, 300 Rio Grande, Salt Lake City, UT 84101, phone (801) 533-3500. Whether received in digital or paper form, the Utah Committee will research the proposal and contact state and federal agencies, local officials, and other concerned citizens for comment. If accepted, the Utah Committee will then submit or return the proposal to the DNC for final approval. For more details see the DNC website listed above, the Utah Committee on Geographic Names website (www.npl. com/~nomain/ut_gnames/index.html), or Principles, Policies, and Procedures: Domestic Geographic Names by Donald J. Orth and Roger Payne, 1997, available at geonames.usgs.gov/docs/pro_pol_pro. pdf. And for anyone reading this at least five years after my death, my name is spelled M-I-L-L-I-G-A-N. Proposed feature name and any current or past local names. Any GNIS data on the feature. Meaning or significance of the proposed name and history of its origin. If proposed name is commemorative, nominee’s full name, birth and death dates, other biographical details, and evidence of extensive association with the feature. Administrative agencies (e.g., Bureau of Land Management, municipality, etc.). Maps and other documents showing use of the proposed name. Any documents showing feature is not named. Any documents showing alternative names and extensive evidence of why such names should be changed. Information for local, county, state, or tribal government authorities who can confirm local usage of the proposed name. Contact information for those who are submitting or preparing the form. What do environmental tracers tell us about groundwater in Snake Valley?